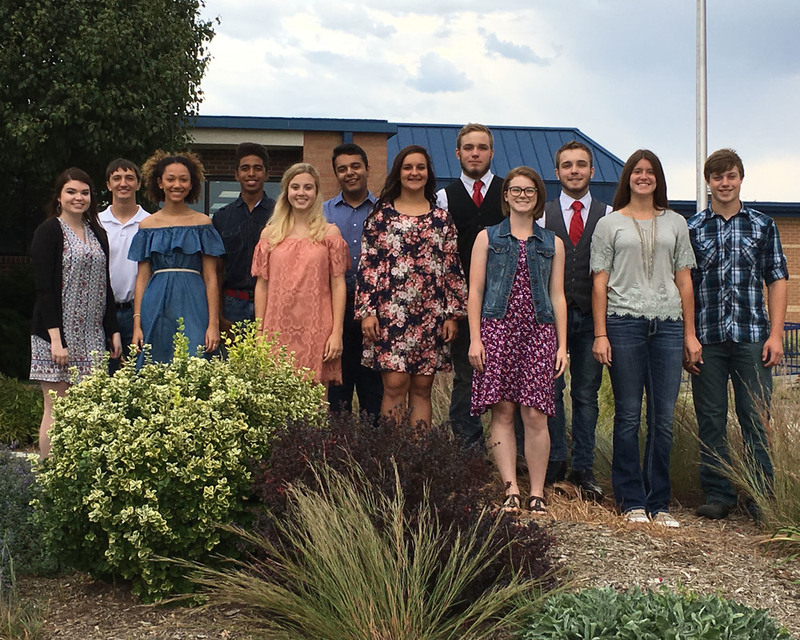 MHS is pleased to announce the following homecoming candidates: Trenton Brubaker, Felipe Contreras. D.J. Green, Evan Keating, Keagon Williamson, Keaton Williamson; Kerrigan Kelly, Faythe Korinek, Carlean Sanders, Makiah Smith, Katie Thrush, and Courtney Walker. Minneapolis High School Student Council has overseen the activities for this year’s homecoming festivities. The week included spirit days in which grade schoolers and high schoolers dressed up according to the following themes: fashion disaster, decades day, college day movie day, and red and Blue Day. High school classes will compete in a window decorating and float competition. Friday at 2:30, parade entrants will gather at the grade school for the Homecoming Parade which will begin at 3:00. The week will culminate in the ceremony crowning of the king and queen at 6:30 at the MJSHS football stadium. The Lions are scheduled to play the Marysville Bulldogs at 7:00.